Add-on acquisitions are playing an increasingly important role in the private equity world. Many private equity portfolio companies find it difficult to achieve their growth objectives strictly through organic growth. Other PE firms go even further and embrace a "buy and build" strategy that is predicated on doing a series of add-on acquisitions. Strategic buyers are often at an advantage in a competitive environment as they can take advantage of cost synergies. PE firms can level the playing field if they can structure bolt-ons that improve their overall cost structure. Still, there are a number of risks that need to be considered when looking at portfolio company acquisitions. The key is to recognize that such transactions have not only the risks inherent in any acquisition but also the risks that arise from the combination with the existing platform company. Don't let the relatively small size of add-ons fool you; the risks are real. The threshold issue facing any sponsor considering an add-on acquisition for one of its portfolio companies is whether the target company's business is a good strategic fit with the platform company. Operating companies shift their objectives from time to time, but sponsors need to be careful to avoid the "shiny new object" syndrome. Doing a potentially accretive acquisition is tempting for a business that is having trouble growing organically but the fact that the combination produces higher earnings before interest, taxes, depreciation and amortization, or EBITDA, on paper is a necessary but not sufficient reason to do the deal. Sponsors need to work closely with their portfolio companies to be sure that the target is not an inherently healthy business with good prospects for sustainable growth for products with reasonable margins. They also should carefully underwrite the pricing model to be sure that synergies and other financial considerations will be achieved. Both the debt and equity components of the existing capital structures of both the platform company and the add-on need to be understood. Will the deal be structured as a merger or acquisition? Does the platform's charter need to be amended and if so, what consents are required? Is there sufficient borrowing capacity of the platform to provide the debt piece of the transaction? Covenants should also be looked at on a pro forma basis to see if they can be reasonably obtained. Sponsors should be particularly careful to discount the rosy projections of the seller. Depending on the answers to these questions, there are a number of alternative structures that can be used, including "amending and extending" the existing credit facilities, holding the add-on in a "silo" or subsidiary, or refinancing both companies' debt completely. It is also important to consider the extent to which the existing company's management team has bought into the deal. Is there alignment as to how the combined entity will be managed? Is there room in the platform's equity incentive plans to reward new managers adequately? If the titles, roles and responsibilities of key managers has not been thoroughly thought through and vetted, integration may prove difficult. This will require a careful examination of existing employment arrangements and equity incentive programs of both companies. Sponsors should be particularly careful that the deal does not contain any post-closing documents to maintain benefit arrangements as this could make integration more cumbersome. Any shift in roles and responsibilities could provide existing managers of both companies to terminate for good reason and could result in unanticipated accelerated vesting of their equity. Due diligence of bolt-on acquisitions can be particularly difficult. On the one hand, the transactions tend to be quite small and make it difficult to justify the expense of a major law firm diligence exercise. On the other hand, a missed major contingent liability could sink the platform company. As a general rule, sponsors are wise to touch all the usual hot buttons of diligence: tax, environmental, intellectual property, and labor and employment. It is not uncommon to rely more heavily on the platform company's management team to control costs. Because the targets are typically competitors or at least operating in similar environments, special care needs to be paid to the target's contracts. Are there any noncompetes, exclusivity or pricing arrangements that could impact the business moving forward? Change-of-control provisions should be carefully scrutinized. In general, sponsors should focus on whether the anticipated synergies can actually be realized. While the operating company is generally the contracting party in the context of an add-on acquisition, the question of the degree of the sponsor's financial commitment will inevitably arise. This can take a number of forms. If the acquisition is being financed primarily out of new debt being obtained by the portfolio company, it might make sense for the buyer to ask for a financing contingency in the purchase and sale agreement. Alternatively, if the deal is being financed in large part by new equity, the sponsor is likely to be asked to provide an equity commitment letter. Add-on acquisitions may, in certain circumstances, enable private equity funds to replicate the ability of strategic buyers to pay higher multiples through the realization of synergies. Choosing the right targets and properly underwriting the risks requires careful planning and discipline on the part of sponsors. 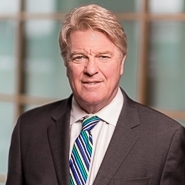 Gene Barton is a corporate lawyer at Goulston & Storrs PC, where he advises private equity firms, strategic acquirers and entrepreneurs on middle-market mergers and acquisitions. He also serves as outside general counsel to corporations, providing strategic business advice.